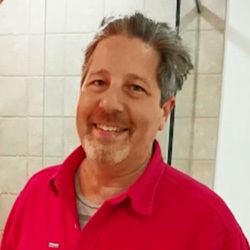 Sir Grout opens innovative web resource for expert advice on local tile and grout cleaning and hard surface restoration to meet the growing requirements of Westchester residents. Westchester, New York - (PRWEB – August 05, 2013) – Sir Grout, hard surface restoration experts in America and abroad, launches a new website to support its greater Westchester clients. At Sir Grout of Westchester, residents can now easily schedule service and access tips and information for exclusive hard surface restorations. Services offered include tile and grout cleaning, grout recoloring and sealing, caulking, marble honing and polishing, stone cleaning and sealing, no sanding wood armor refinishing, and case-by-case restoration services. Founded in 2004, Sir Grout began franchising in 2007 and has quickly become one of the top providers in its field, standing out for superb quality results due to its exclusive cleaning methods and professional hard surface restorations. Sir Grout dedicated its resources to not just the restoration itself, but the process of improving hard surfaces. Sir Grout's personal outreach to its loyal Westchester, New York clients is a way to give back to the local community, with more accessible service and relevant, localized restoration expertise now available 24/7. Sir Grout's ingenious website features a before-and-after photo gallery introducing customers to Sir Grout's special Color Seal process, its exceptional quality, and long term benefits. Users can also find coverage areas, educational videos about preserving hard surfaces, and exclusive tips on the "Dos and Don'ts" of tile and grout maintenance, as well as useful advice and products to lengthen the life of hard surfaces. The franchise tailors this information to specifically benefit local residents. Sir Grout of Westchester strives to become known as expert Bedford Tile and Grout Cleaners, Yonkers Tile and Grout Cleaners, and Harrison Tile and Grout Cleaners, along with the other cities and counties listed in the coverage area. When asked about the local website, Tim O'Leary, owner of Sir Grout of Westchester, said, "Our special Westchester County clientele will benefit from the convenience of having an innovative local website with up-to-date information about the high-quality hard-surface restoration services we provide for their homes or businesses." The new comprehensive website brings Sir Grout of Westchester closer to local residents by providing a complete list of expert tile and grout, stone, and wood restoration services, as well as the coverage areas served with specific counties and cities. Launching this website is part of Sir Grout's continuous support to its clients and franchisees, adding to their exceptional customer service, employee training program and continual product development. Residents of Westchester, New York and surrounding areas can reach out to their local Sir Grout via www.sirgroutwestchester.com and benefit from nearly a decade of experience. One can request a free quote or in-home/office consultation or schedule a service with Sir Grout of Westchester by calling (914) 592-5902 or visiting the new website.